A couple of football experts have predicted who will emerge winner of the 2018-19 Premier League Player of the Year. Liverpool's Mohamed Salah scooped the accolade in his first season at Anfield and Harry Kane who followed closely are not among the selected star picked by Mirror pundits. Andy Dunn thinks center-back Virgil Van Dijk should win the award because his effectiveness in Jurgen Klopp's side. 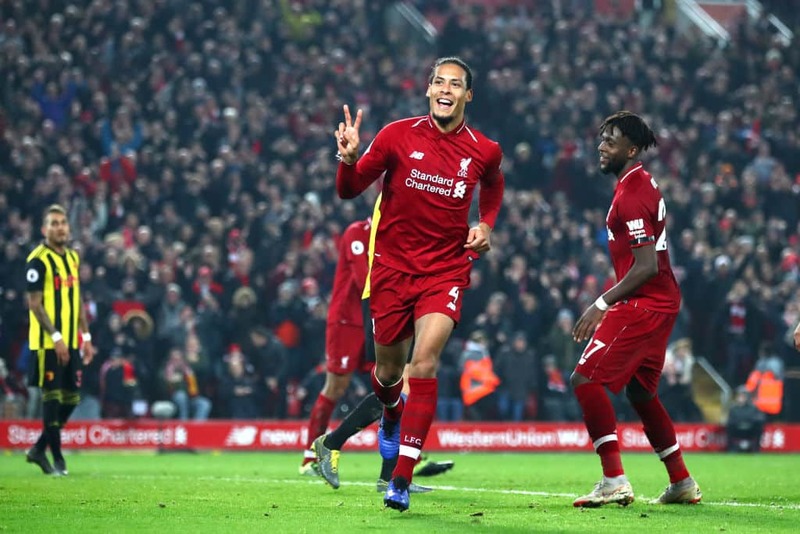 He sited Dijk's leadership qualities in the team and added the Dutch center-half's presence has made the Reds concede fewer goal since his arrival. On the other hand, David Maddock insisted that Liverpool's title chase this season has been because of their stand-out defender. Raheem Sterling is John Cross' pick, and he believes the England international's 21 goals and 12 assists for club and country can help Man City win quadruple this season. David McDonnel also shares the same sentiment with Cross claiming the high scoring winger has become one of Pep Guardiola's biggest influence. The Argentine has 28 goals in all competitions this season including a 93rd minute winner in the FA Cup quarter finals against Swansea City. Meanwhile, Legit.ng had earlier reported that Tottenham have revealed they will be playing their first Premier League fixture against Crystal Palace at their brand new stadium on Wednesday, April 3. Spurs should have moved into White Hart Lane at the start of the 2018-19 season but had to reschedule it because of construction issues.